Performer, choreographer, and teacher Betsy Fisher has created eMotion.s: German Lineage in Contemporary Dance, solo programs of repertory drawn from choreographers who share artistic heritage to Ausdruckstanz. 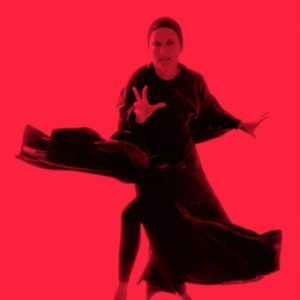 Tracing her own artistic family tree, she learned, was directed in, and performed dances by Mary Wigman, Dore Hoyer, Marianne Vogelsang, Rosalia Chladek, Hanna Berger, Hanya Holm, Lotte Goslar, Alwin Nikolais, Murray Louis and Beverly Blossom. The document chronicles her research, rehearsal progress, discoveries, performance experience, and the creation of new choreography inspired by her work in dance reconstruction. Artistic and academic research blend in this documentation of a journey that is both personal and public. Fisher pries open the progress of interpretation and performance revealing the inner experience of the dancer in multiple layers of physical, practical, and imagistic strata.